Consider All The Risks And/Or Rewards Of Deciding To Work With A Partner-Should You? Regardless of the industry in which your business might operate, being able to have an ally, an associate, or a partner that looks out for your best interests within the format of a strategic alliance will greatly benefit your company. A tactical partnership will give you a competitive edge and an opportunity to access a wider range of resources and expertise in the marketplace. This means that such a well designed alliance can offer your clients a unique combination of products and services which are much more improved and with greater variety than your competition. The best benefit of a strategic partnership is often in the division of skills – where one partner delivers excellence in certain areas of business while the second partner excels in completely different business disciplines. Therefore, finding the right business partner is no easy task. The truth is that you might even have to work through several business partners before finding the right one. Find someone you genuinely like and trust. It is critical that a lot of trust be established with the person you choose to become involved with financially. Mistrust is very difficult to overcome and will substantially hinder positive progress in the future. Find someone who shares your values. Successful partners should closely agree on certain standards of morality and behavior. These values help guide their judgments, actions and choices. These agreed upon values shape their personal as well as their professional identities. These combined values typically carry strong emotions and can influence the relationship. Find someone with complementary set of skills. Successful partnerships will include different (complementary) skills and expertise. The wider the range of skills, the clearer would be the division of their labor. Find someone to engage in proactive conflict management. When people share a close relationship, it is wise to anticipate ways to make use of conflict management strategies. The key to a successful partnership can be the use of proactive and strategic approaches to the conflict management. Manpower A lot of work goes into the operations of a business. You need to do research, networking, development, and meet with potential investors. Therefore, you might need a partner you can trust to share the load of starting and managing the new business. Evaluate Ideas A business partner is able to help you realistically evaluate new ideas and business opportunities for potential flaws. Networking Having a partner will give you the opportunity to expand your list of contacts, and multiply the numbers of potential clients, suppliers, investors and mentors. Work Ethics Many entrepreneurs often consider that their partner does not share the same enthusiasm for the business. Partners who are unable to meet deadlines or follow through with their responsibilities will quickly adversely affect the growth of the business. Profit Sharing If your partner does not produce more than enough increased business to justify their involvement, there will quickly arise questions about how profits should be shared between both of you. Liability Each person is supposed to take responsibility for whatever happens in the business. If your partner violates any laws, he should be held accountable and it is quite possible that you would suffer personally for his poor actions. I agree almost entirely with this post. All the pros and cons are true about every partner. The more compatible you are with your partner the better. I also learned a few things from this post. I totally forgot to take into effect liability issues with partners and they can help network with you. As you noted John, there are a lot of issues to consider when adding a partner to your efforts. Certainly, there are benefits and headaches, so be careful. For me, I don’t like to have a partner. I prefer to manage everything myself. That is definitely a choice that you can make. The important factor is that you are making a decision that is proper for you. Very solid advice. Particularly the bit about finding somebody with complementary skills. I’ve been burned before with somebody whose strengths and weaknesses matched mine. This is a critical decision so every precaution should be taken. As a single member business owner I often feel very alone and isolated. This article reminded me that even though at times it would be nice to spread the load I am mostly glad to be doing my own thing. Well, Maria, you make an interesting point. There are many ways to accomplish a particular goal, but it is equally important to chose a method that is best for you and your needs. Many times we have seen entrepreneurs lock into an approach that was offered to them by someone or that they decided to “mimic” and later realize that they are unhappy. Thank you for sharing. This is where one most really think thing through before signing on the dotted line. Business partners may sound great at first but if it turns out that your business partner just wants to make money off your hard work, then it could build resentment. Which could end a partnership quickly. Absolutely true. Hopefully the article will provide warnings to of those entrepreneurs who tend to not have much patience. This is the kind of content many new entrepreneurs need to see. Many will automatically opt for a business partner because they see it as safety in numbers, but they don’t even consider the cons listed above. Good Post! Thank you for that. Indeed, here is an important fact to keep in mind. Partners are much easier to acquire than to eliminate! Thanks for your comments. It is nice to know that our readers find useful information that helps them in their business efforts. Continued success in your business. This issue of whether or not to have a business partner is one that I’ve been struggling with. You’ve succinctly listed some of my thoughts. I think the hardest thing is finding that “right” match for a partner. Absolutely, Justin. Much time is sometimes required to identify a partner that will clearly improve your business. Take as much time as it takes. It is much easier and quicker to make a bad decision than it is to recover from having made it. I personally believe a partnership is very beneficial, but every experience I’ve had with a friend who wants to do business with me has gone very, very wrong. It is always nice to have a friend, but in business you need a partner who can assist you to make the business successful. This article serves as a reminder that your best friend might not always be the most suitable partner to go into business with. You need to prioritize your own interests and who can help you achieve them. Great write up! Simply said, but powerfully stated! You are absolutely correct. Recently my friend approached me asking to invest in his scrappy start up programming business, I decided to not go ahead with it due to the cons you made, thanks for the advice. We are glad that you were able to avoid what might have been a very costly mistake. Thanks for sharing. Partnership is always important for huge type of business. Partnership works very nicely when partner’s mutual understanding is awesome. Otherwise, business fails in very short time. Failing business is always unfortunate. All of that is true. Be careful when any adjustments are made to your business. However, when a partnership is necessary, it will be obvious. The trick is to create an effective and beneficial partnership. I definitely think there are both sides to this. However,so people may just take advantage of having a partner just to use them. Your comment is very true. Having a partner comes with many risks and advantages, but the reality of it is that partner will always bring “all of who he/she really is – whether good and bad”. And, of course, the same will apply to you as well. I feel that having a business partner conveniently shares the workload. A business partner can provide a creative influence and is a great way of bouncing off your ideas and strategies to enhance the overall business. Without question, having a proper relationship with a business partner is a good thing. Just be careful to consider the negatives if the relationship does not gel properly. I think that it is especially important to have a business partner who shares your values. This would demonstrate that they have the same mindset as you do. This would make it easier to agree on business goals and achieve them together. Yes, John. We agree with your thoughts. It can be hard to find a person I trust enough to have as a business partner. Although there are several advantages, it can be pretty risky. The smartest way to handle partnership decisions would be to not form a partnership until you are totally comfortable with that choice. I agree. I think profit sharing would be a difficult thing. I also think it is important that both people need to be aware that if one of them breaks the law, then that person must take responsibility. This is an important point as it will be too late for discussions should something terrible occur after the partnership has been formed. You provided some very insightful information about the advantages and disadvantages of partnerships. Be sure to consider all of the factors before entering a partnership of any kind. They are much easier to get into than they are to get out off. I’ve had friends who had businesses that failed due to their business partners. This article would be perfect for them to read! Nicely worded article . It is unfortunate when a business fail, regardless of the reasons. Hopefully, your friends will now recover and soon reach their success goals. 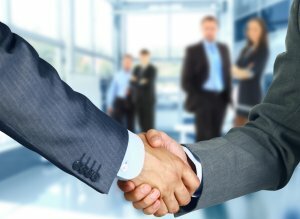 Partnerships will always have a tremendous impact on your business efforts. The key is to be prepared to do all that may be necessary to bring about a positive impact, not a negative one.